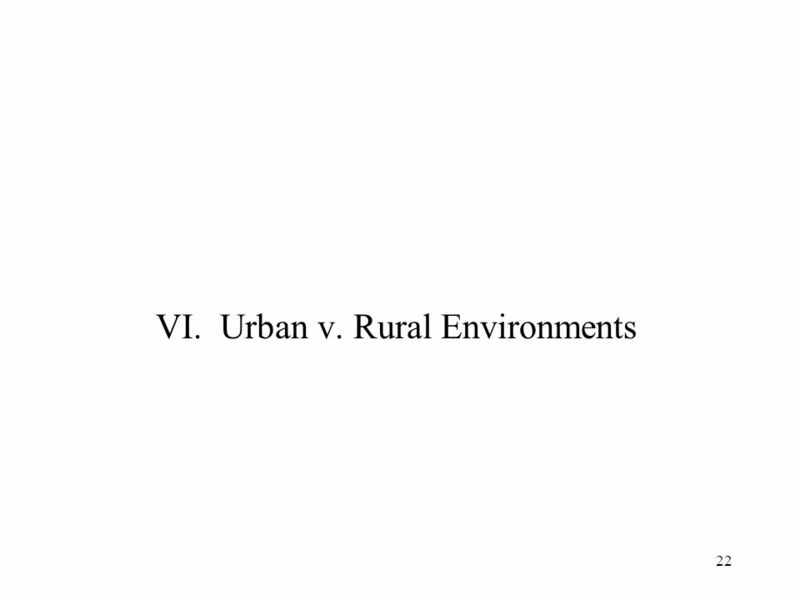 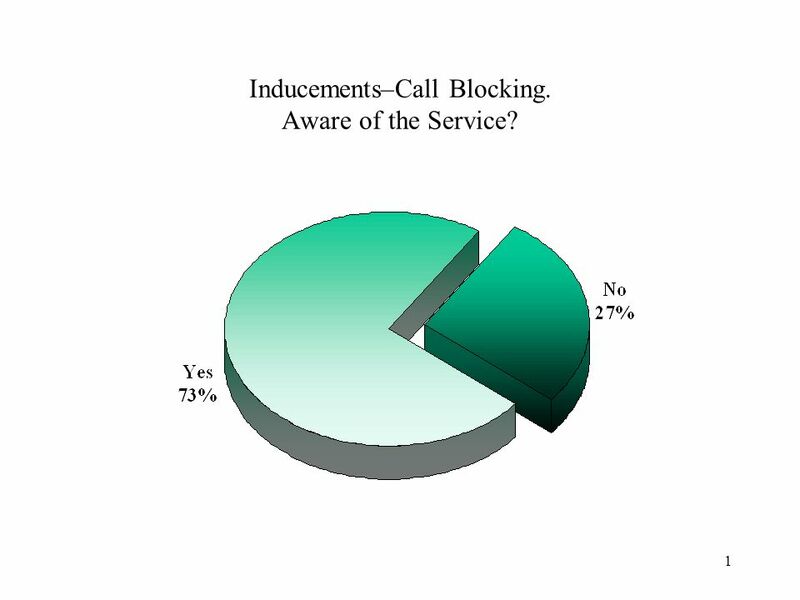 1 1 Inducements–Call Blocking. 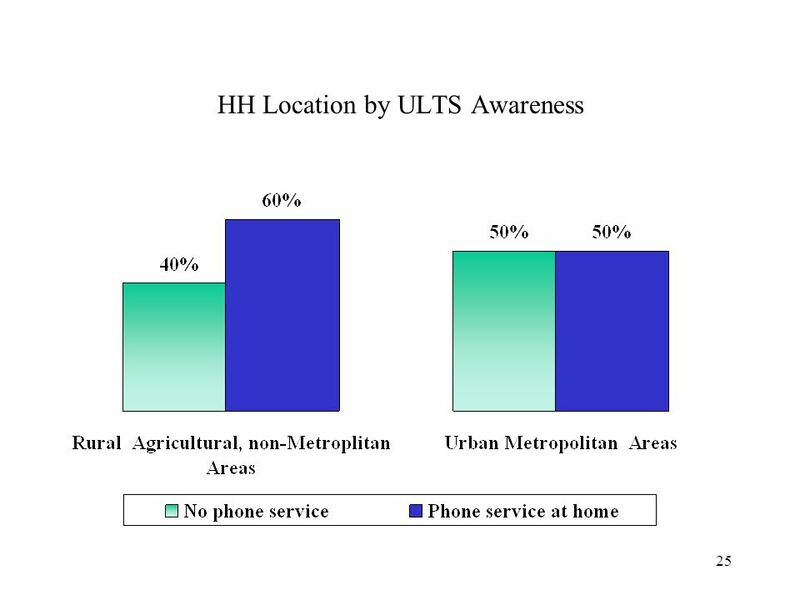 Aware of the Service? 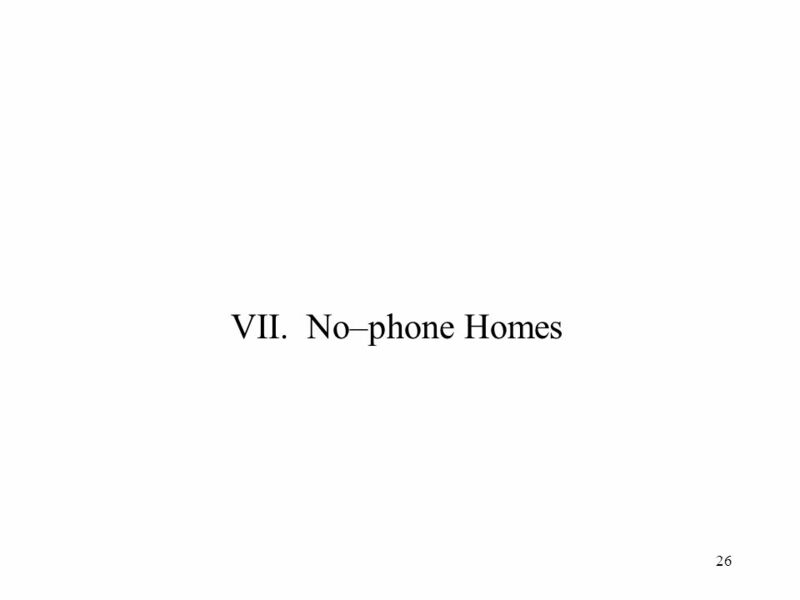 2 2 Inducements–Internet Access. 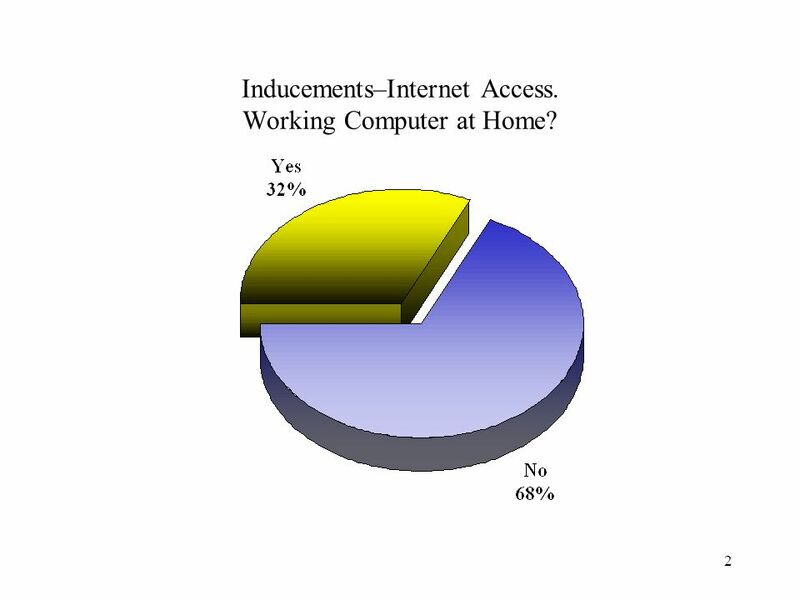 Working Computer at Home? 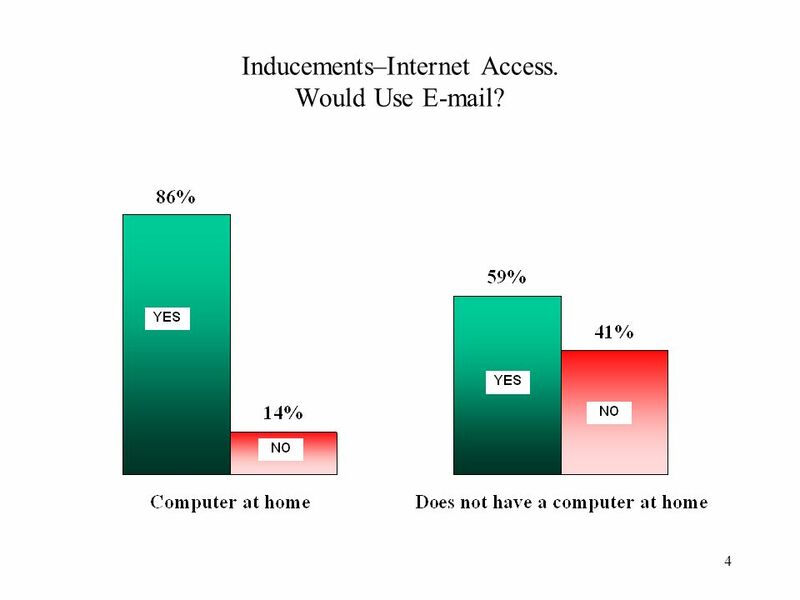 3 3 Inducements–Internet Access. 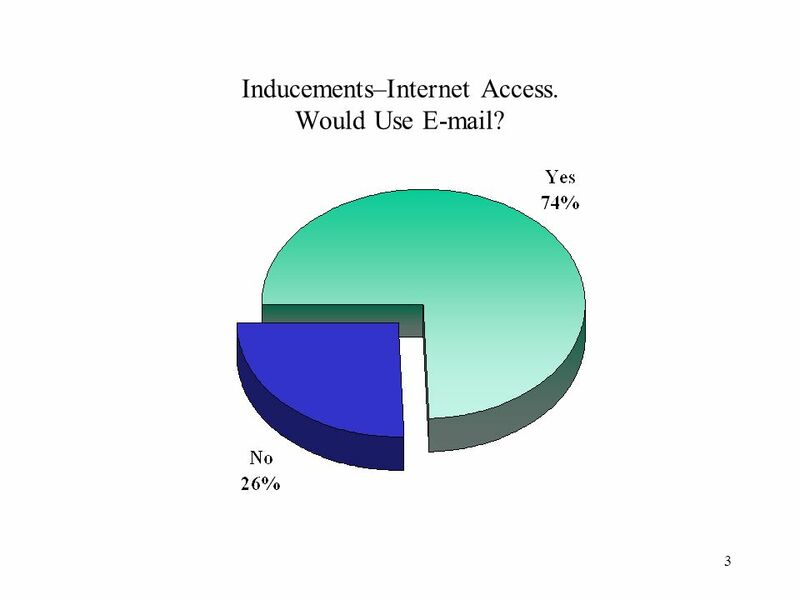 Would Use E-mail? 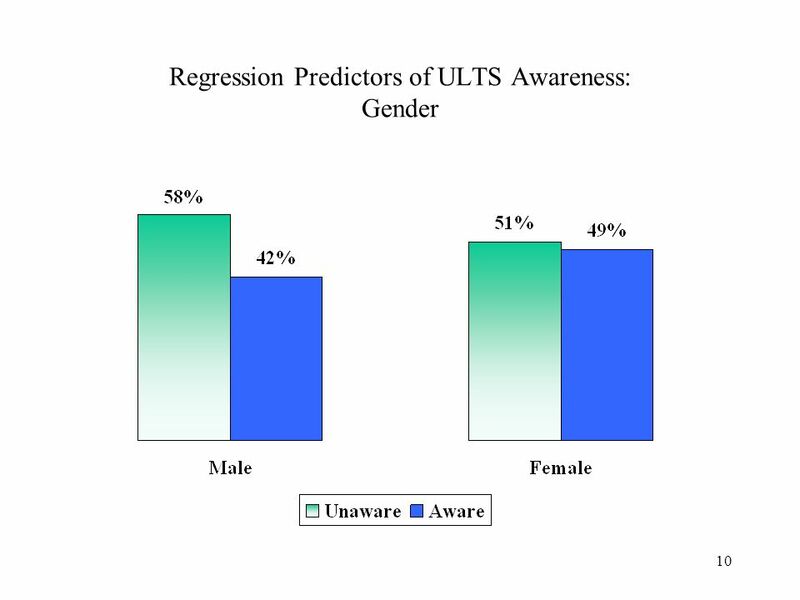 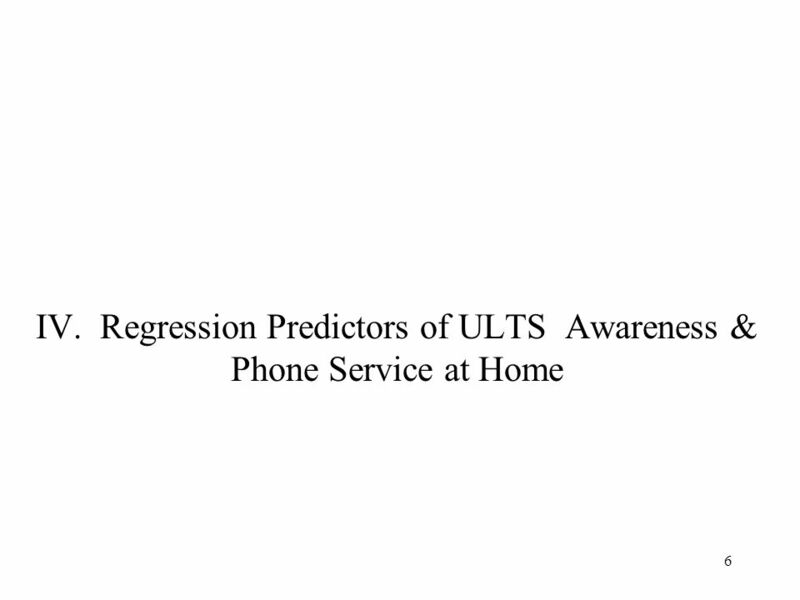 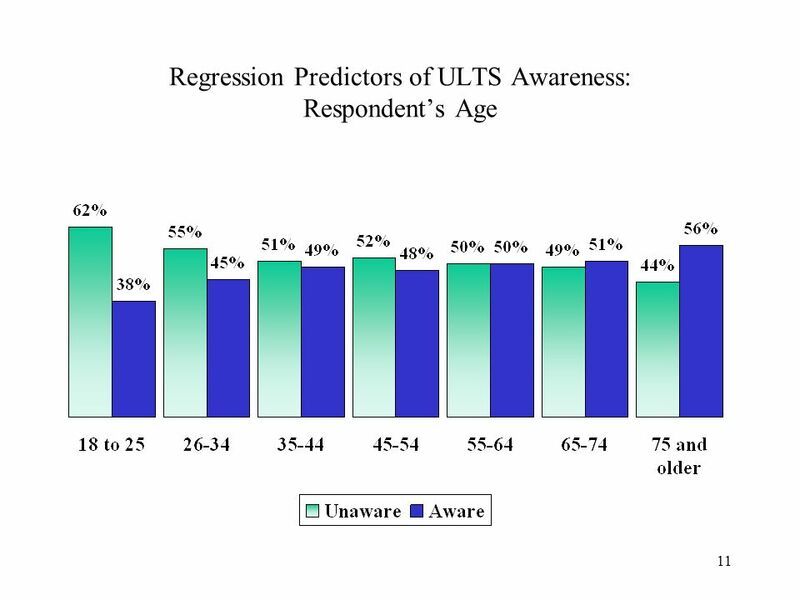 8 8 Regression Predictors of ULTS Awareness: Aware of Call-Blocking Service? 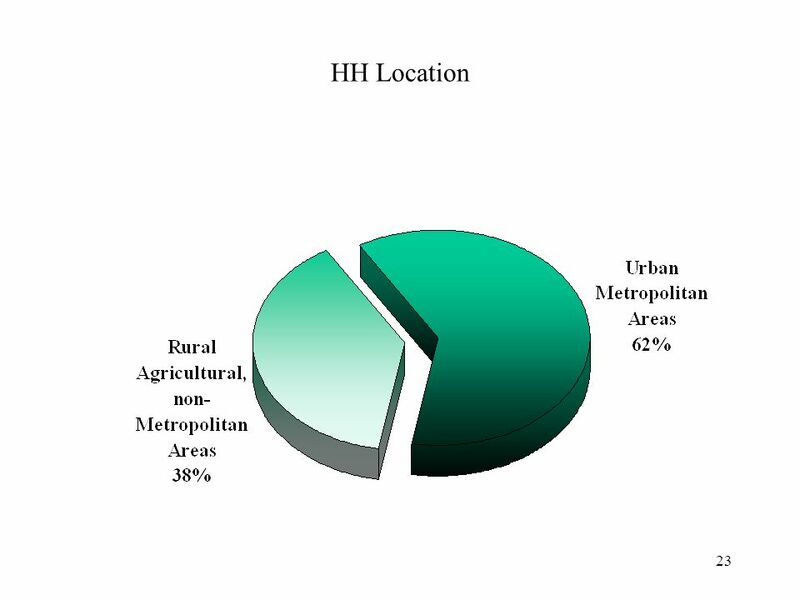 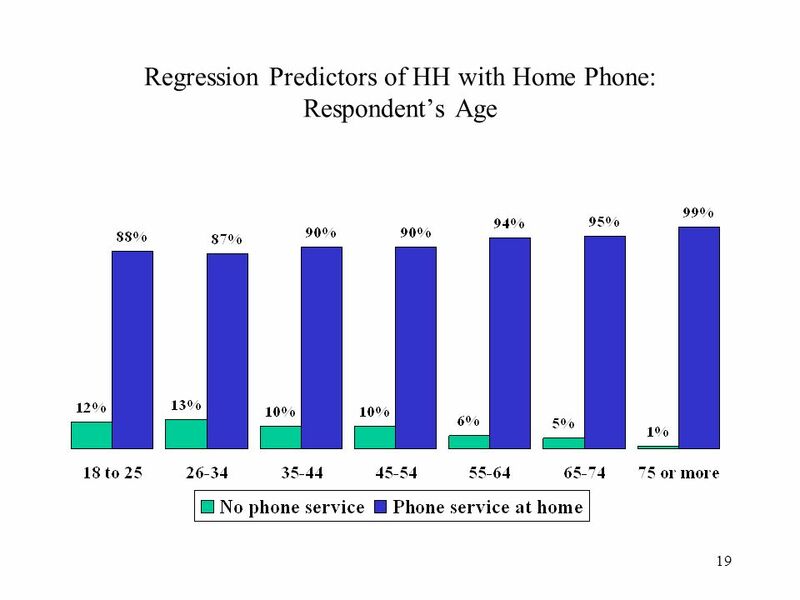 14 14 Regression Predictors of HH with Home Phone: Number of Years at Residence. 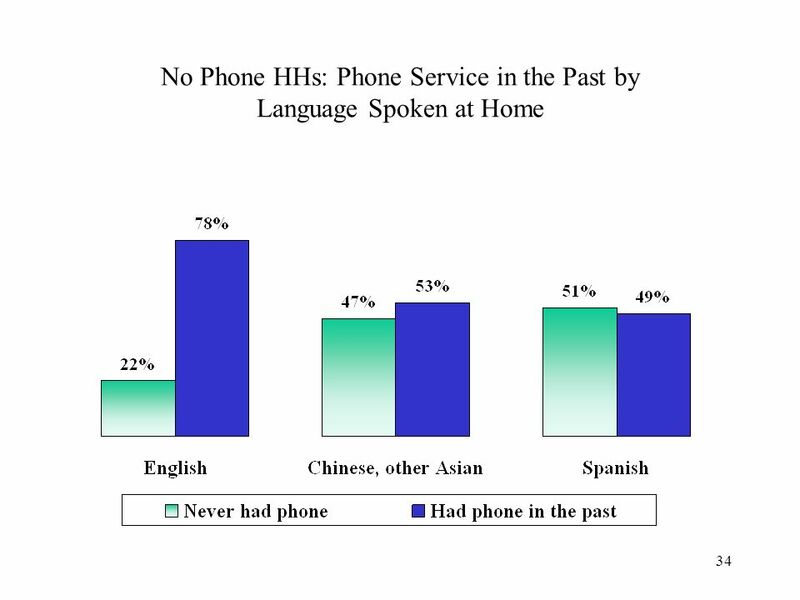 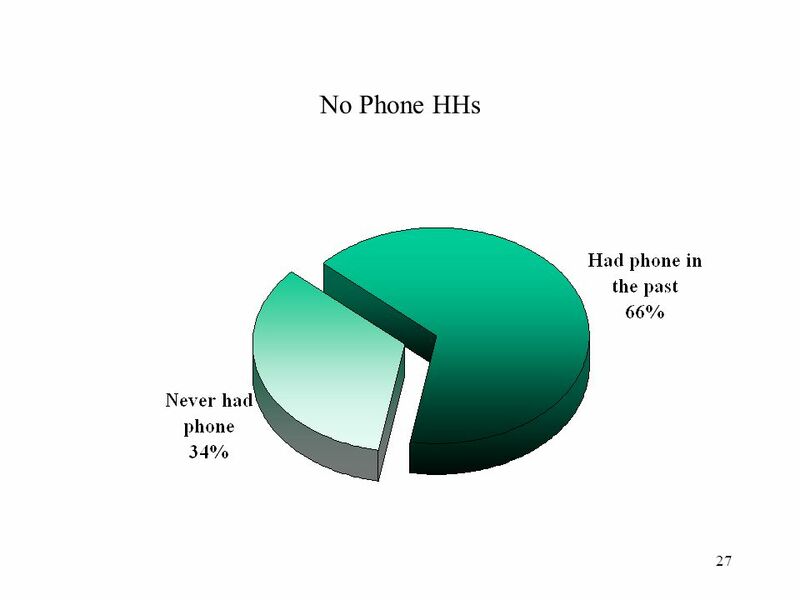 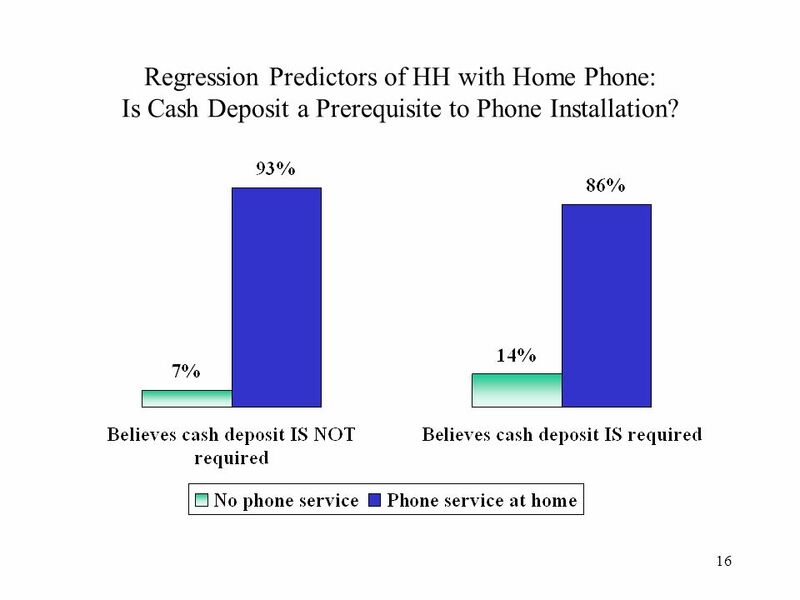 16 16 Regression Predictors of HH with Home Phone: Is Cash Deposit a Prerequisite to Phone Installation? 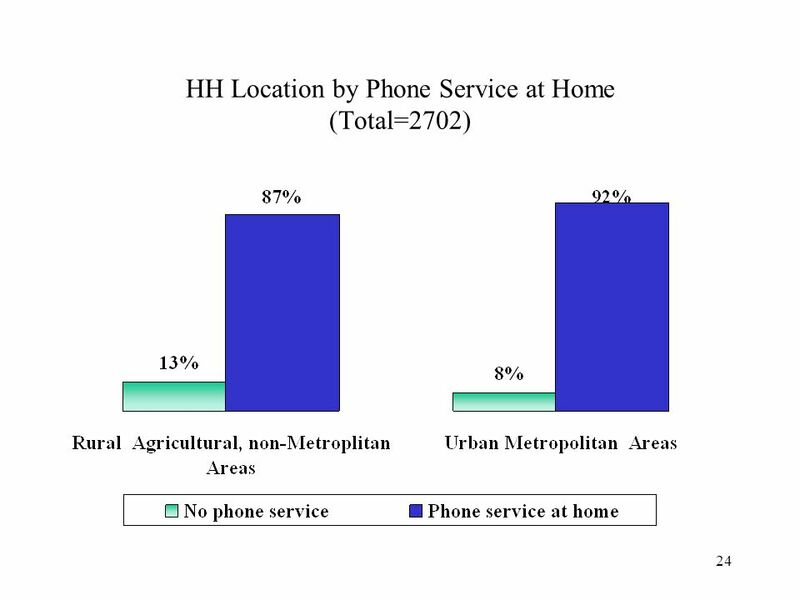 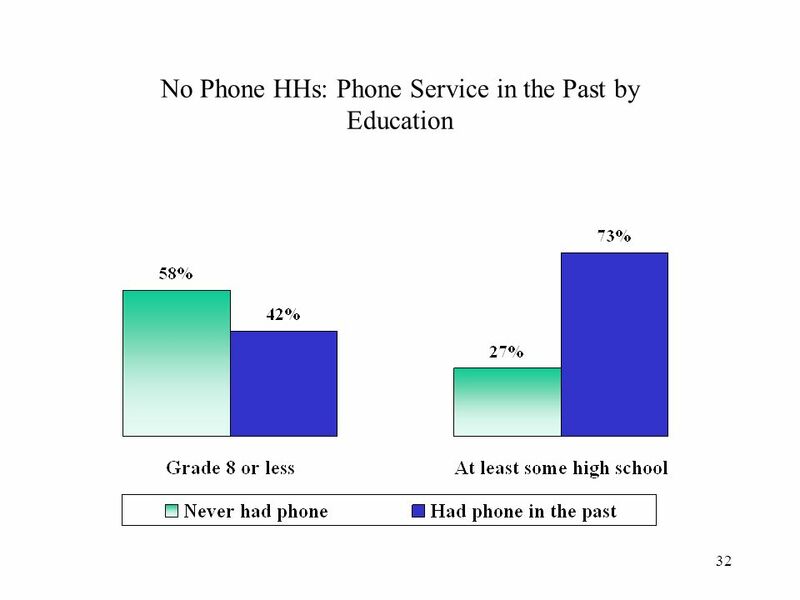 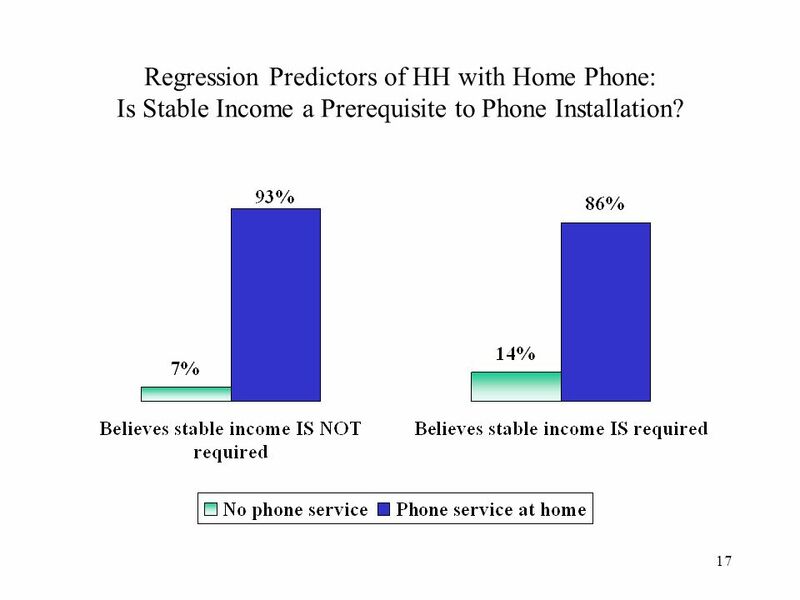 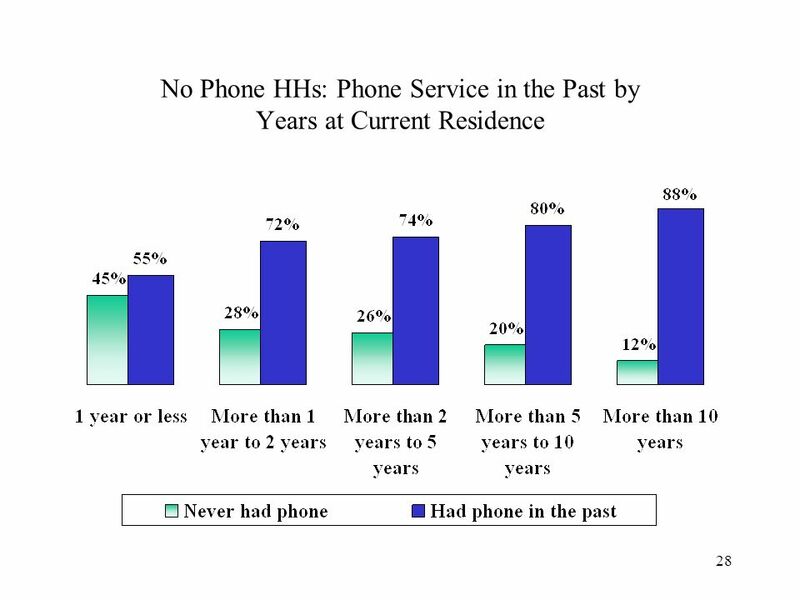 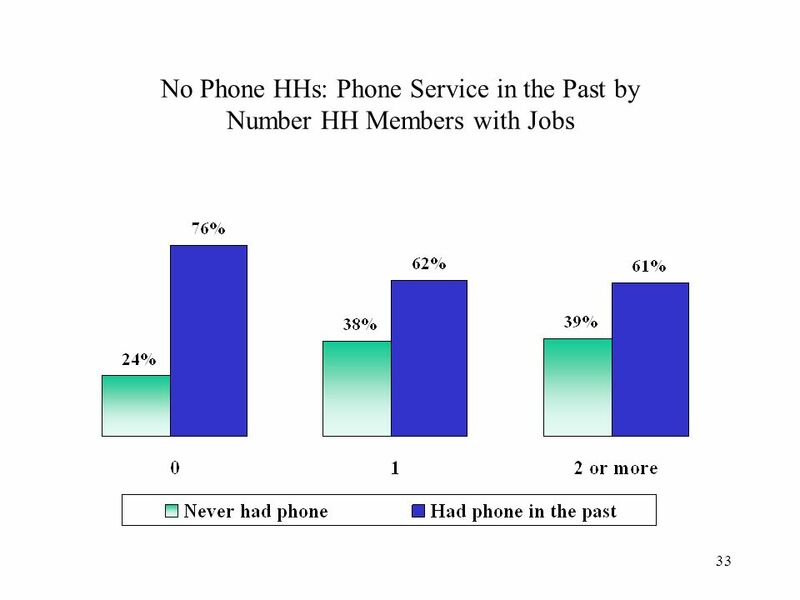 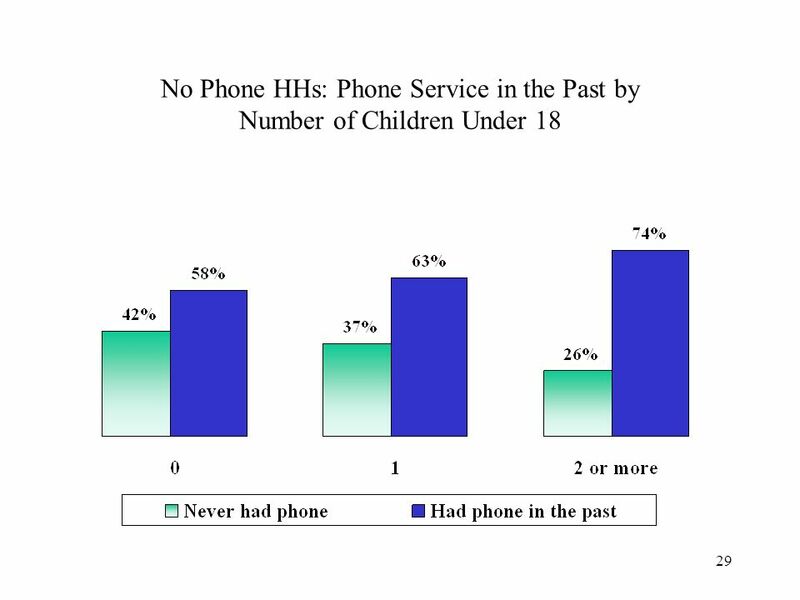 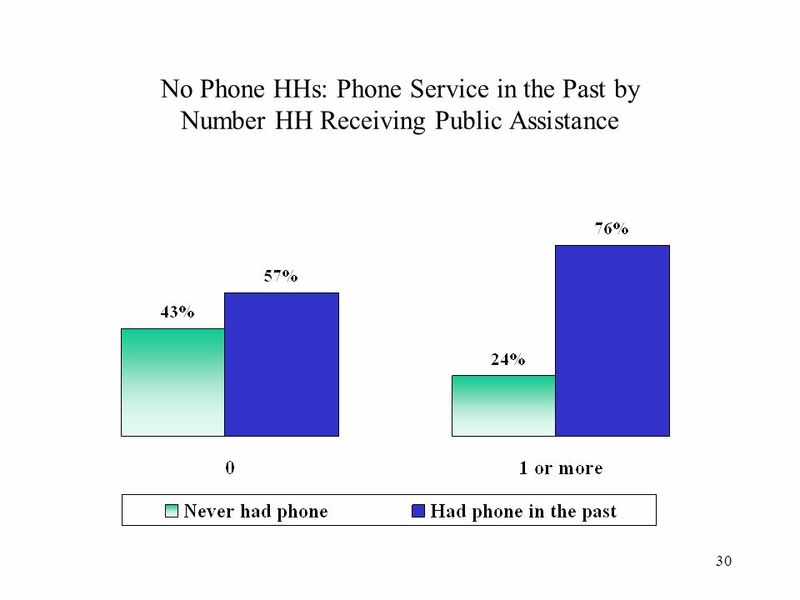 17 17 Regression Predictors of HH with Home Phone: Is Stable Income a Prerequisite to Phone Installation? 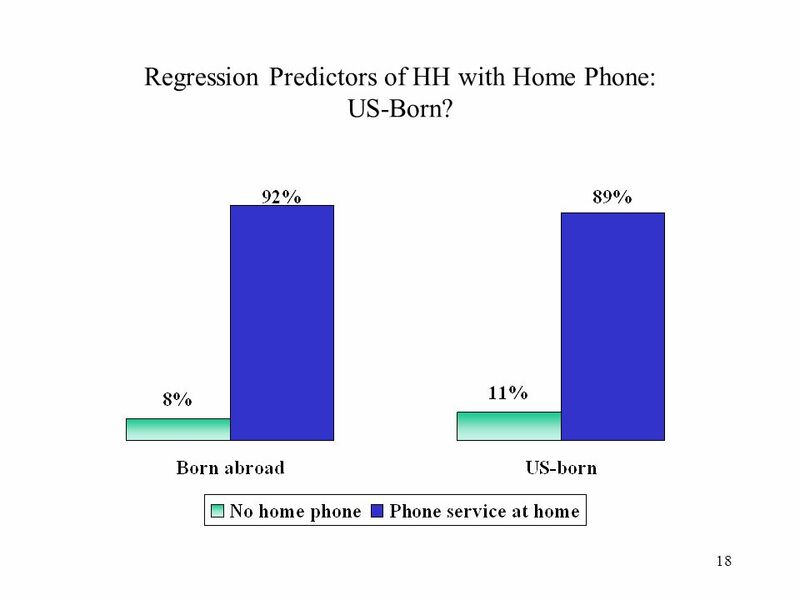 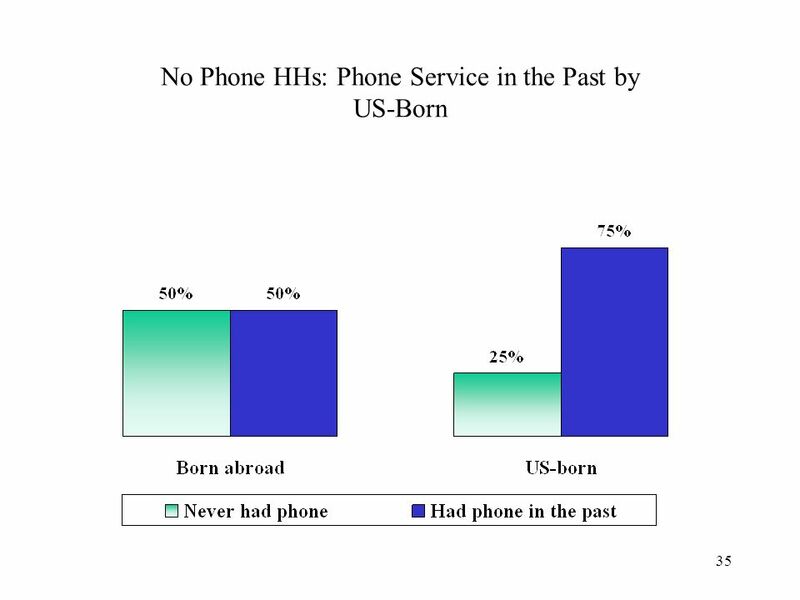 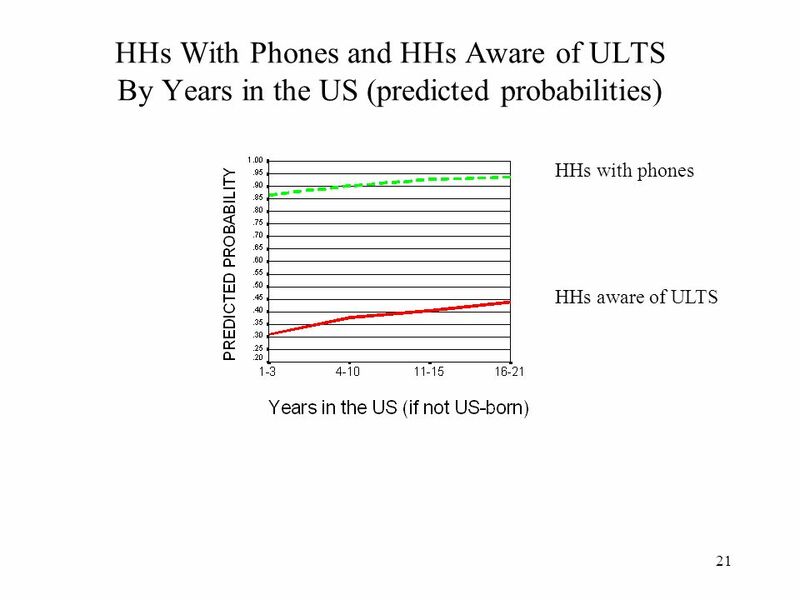 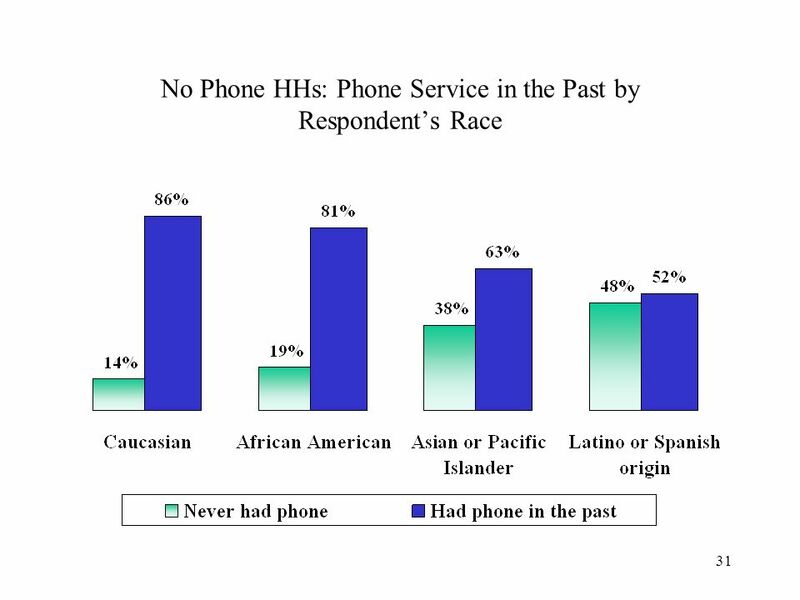 18 18 Regression Predictors of HH with Home Phone: US-Born? 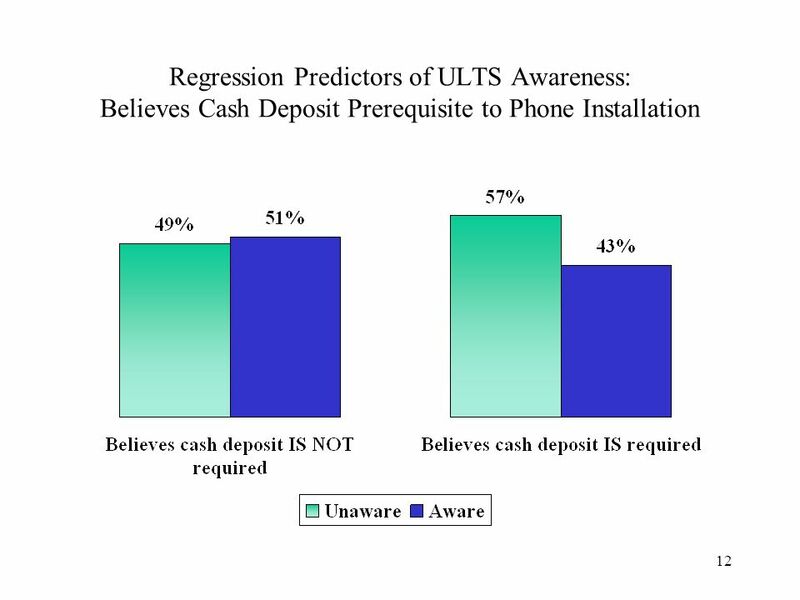 Download ppt "1 Inducements–Call Blocking. 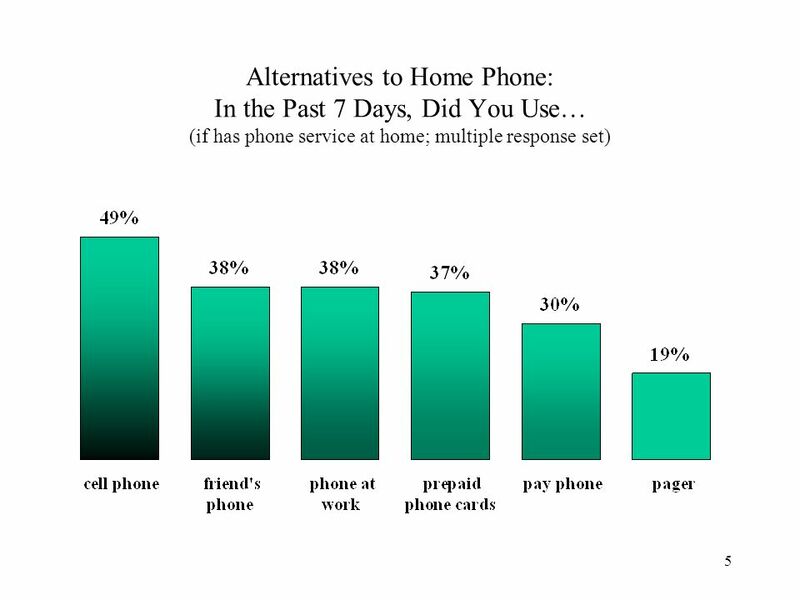 Aware of the Service?"